Comfy, short term rides are assured once you charter for a private flight on board the Beech BE200 Super King Air. This aircraft has seats which can provide you with convenience for up to 2 hours’ worth of flight. Each passenger seat can be reclined. The seats also have pull out tables so you can enjoy your snacks while getting mesmerized by the skies’ views from the window. This aircraft’s space is equivalent to 8 passenger seats, and the cabin’s lay out may be customized depending on your chosen operator’s preferences. Among other small aircraft, the Beech BE200 Super King Air also brings in a steady glide with every flight you’ll embark on. It even has Short Take Off and Landing (STOL) capabilities, so you can choose to fly on or to remote locations whenever you want. If you choose to land to airports much nearer to your intended locations, you may do so since it can also operate on smaller landing or take off fields. As you hop on board a private Beech BE200 Super King Air, it would be helpful plus efficient to inquire about the plane’s in-flight features. This way, you’ll have an even more enjoyable experience on this jet. For instance some of its updated, interior features include a much lengthier legroom plus personal entertainment systems. There are also cup holders on each side of the seat so you can stay hydrated and pleasantly relaxed throughout the flight. As you hop on a private charter of the Beech BE200 Super King Air, you’ll find this aircraft flies sturdily for 2 hours or so. Powered by two Pratt & Whitney Canada turbo prop engines, this plane lets you reach as far as Alberta if you’re coming from Ontario. If you’d like to take on a getaway to Cancun, Mexico, you can do so and even in style on this aircraft. 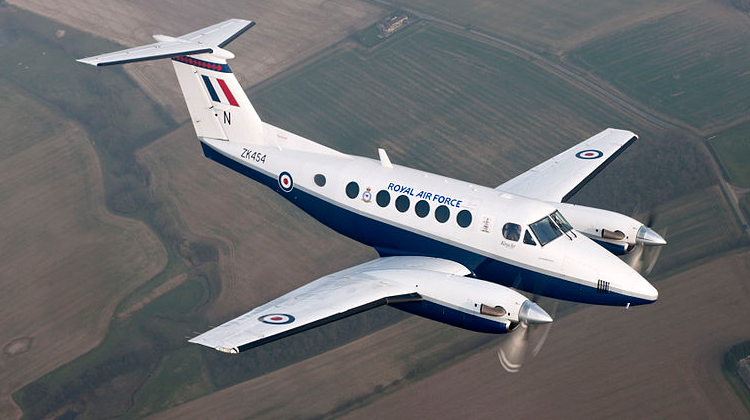 Will you be maxing out the flying range of the Beech BE200 Super King Air? Then it would be practical for you to inquire about the allowable load of your plane with the operator. This way, the service can note down the best combination of routes and schedules for your upcoming flight plan. Generally, a much lighter aircraft lets you reach much farther destinations at faster paces. 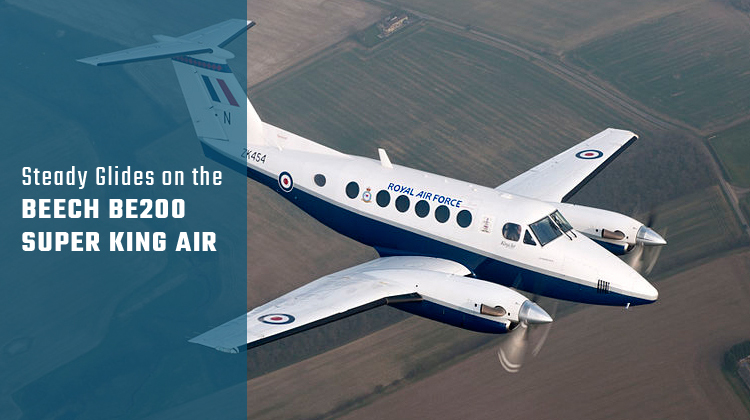 Manufactured by Beechcraft, the Beech BE200 Super King Air had its first flight in 1972. The 200 model along with its other 18 variants have over 3,550 units built and being flown around the world. Its combination of military and civil operators come from roughly 50 countries such as Australia, Argentina, Cambodia, Japan, New Zealand, United Kingdom, Hong Kong and many more.